South Korean retail giant Lotte Group is facing an extended business suspension in China over the US Terminal High Altitude Area Defense (THAAD) system row, local media reported Friday, citing industry source. MOSCOW, April 7 (Sputnik) — According to Yonhap news agency, 41 out of 75 Lotte Mart outlets in China, whose operations had been suspended for a month, did not receive re-inspection visits from the local authorities, with seven other stores slapping with one-month business suspensions. The majority of the outlets had been under suspension since February due to failure to meet security regulations or on a voluntary basis, as Chinese consumers continued to stage anti-Seoul protests near the stores due to THAAD deployment. The Lotte Group might lose up to $179 million in case the shutdown continues for another month. The agreement between the United States and South Korea on deploying the THAAD system on South Korean soil was reached in July 2016, with the first components of the system beginning to arrive in the country on March 8 in response to North Korea’s ballistic missile tests. 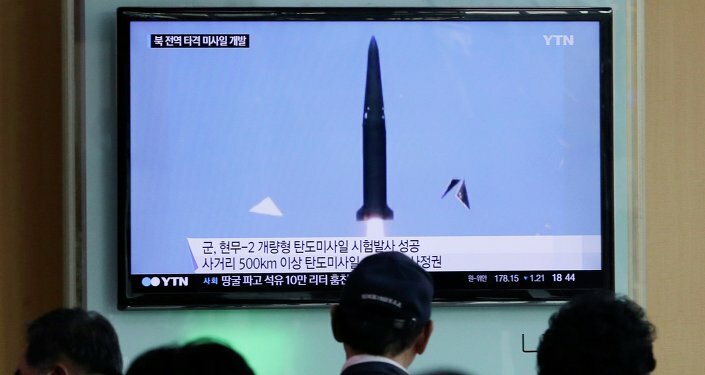 In early March, the THAAD deployment began, provoking criticism by China, which claims the ballistic missile defense will undermine security in Northeast Asia.